Full disclosure: A review copy of Medici: The Card Game was provided by Grail Games. It’s been said there are only two truly generic themes in board gaming: medieval fantasy and Mediterranean / Renaissance trading (I assume people say that; I definitely say that). Many people I know own one or more games that fall into either category (Dominion and Splendor for me, minimum), and that’s totally fine. 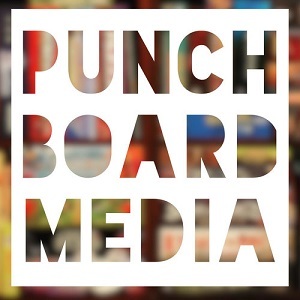 There are just lots of games with that theme, so you have to be careful that you set yourself apart, should you be making a game in that space, or it’ll get buried (which is a bummer). 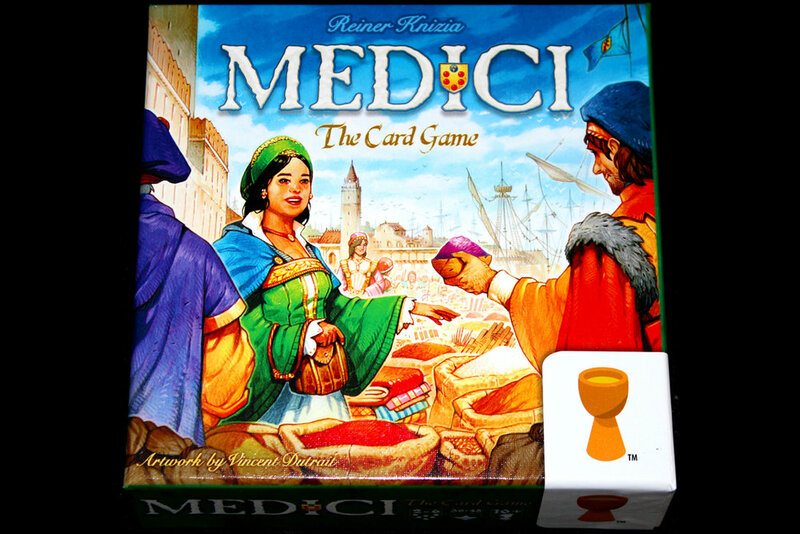 Anyways, Medici: The Card Game is an example of the latter category, as you play buyers for different merchant houses in the age of the Medicis (unfortunately unknown to me, but I have a close friend who knows everything there is to know about the Medicis so I’ll ask her) trying to compete to buy from the daily wholesale market. Will you be able to make the most profitable deals? 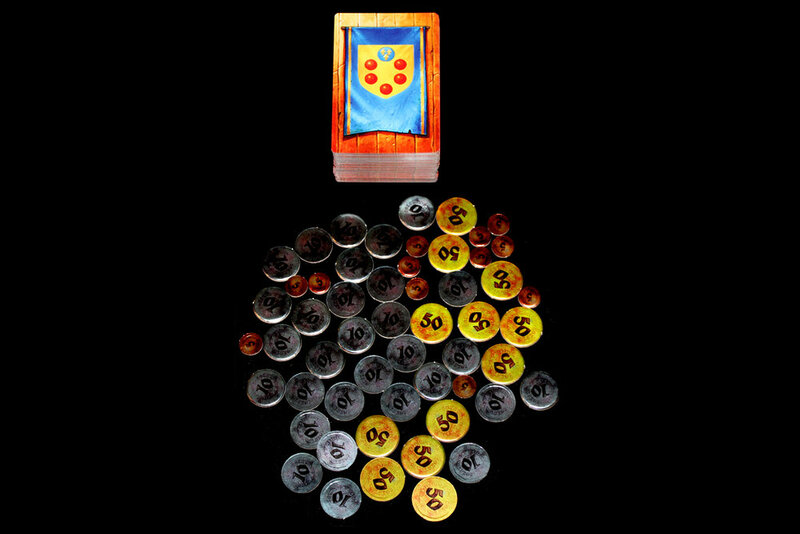 So, Medici: The Card Game is a game of pressing your luck with the merchants at the market. If you see something you like, you can (and should) grab it, but there’s only a small window of opportunity before you need to move on. There are also some special cards (one of which you can see above) that have goods or points on them, but do not take up space on the boat. These green cards are super useful to keep around! Once you’ve done that, it’s polite to announce how valuable your ship’s load is — that’s the sum of all the numbers on the cards in your ship. The next player takes their turn. If you’ve fully loaded your ship (7 cards at two players; 5 cards at three+ players), you do not take any more turns this round. If only one player has not yet loaded their ship, they are given one last turn to do so. Then the round ends, even if they haven’t finished fully loading their ship. There’s only so much time in a day. Now, you score your ship values. Players will receive florins (points) for how valuable their ship was, first, and then they will score their Warehouses (more on that in a second). If there’s a tie for a place, say, 4th in a 6-player game, you’ll add the total number of places that these players were occupying (so if two players are tied, add 4th and 5th place) and then split it evenly, rounding down. In this case, both players would get 5 florins, as 15 / 2 = 7.5, but the smallest denomination of coins is 5, so they get 5. That’s a bummer. The player with the most of that good scores 10 florins. The player with the second-most of that good scores 5 florins. A player must have at least one good of that type to score this. Again, if there’s a tie for either of these places, add the values together and split it evenly. If any player has 5+ of a good in their Warehouse (7+ in a two-player game), they earn an extra 10 florins. This happens every round. If you’d like, you can set a second-tier bonus for 8+ goods of a type (10+ in a two-player game). Once you’ve done all of that, return any cards in the center of the table to the deck and reshuffle it. Keep the cards in your Warehouses; you’ll score them every round. The player with the fewest florins will start the next round! After three rounds, the game ends. The player with the most florins is the winner! Yeah the two-player game is kind of weird (given how zero-sum it is), but it’s still pretty fun. At six, it’s almost pure chaos — you’re basically pulling for some lucky draws and just praying that you don’t have the lowest-value boat. I appreciate both edges of the game space, because they’re interesting, but I think the 3 – 5 player count is a nice boundary in terms of my preferences. I’ll still play at 2 or at 6, but I prefer 3 – 5. Part of the two-player antipreference is just simply that I have other small-footprint two-player games that I enjoy more (like Maskmenor Cake Duel). Nothing against this one in particular. At 3 – 5, though, it’s a lot of fun, high chaos, and I usually lose. Did I mention I’m terrible at this game? No? Well, anyways, here’s some strategy tips. You really want to have the highest-value ship. That’s a very good way to get a lot of points quickly. Naturally, you should spend some time building up your Warehouse, as well, but focusing on high-value pulls will set you up for some early success. Don’t get more of a good once you’ve hit 5 (7 in a two-player game). The marginal increase in value isn’t really worth it unless you’ve got another player who’s also getting 5 in that category; then it’s worth it just to keep that 10 florin bonus to yourself. Avoid ties. Ties are pretty bad because you generally end up getting very little. Unless you’re the player without very much, then, well, not only do you get something, but you also prevent other players from getting more, which is nice. For you. You kind of want to take what other people aren’t taking. You’ll end up with more of it if you’re not fighting competition, so that’s usually a good angle to go for. Plus, it’s even better if you’re the only source of it, since then you get 10 florins for having the most of it and nobody else gets anything. I mean, eventually someone will go for the second-most, but it’s a nice place to be. Never take 2 value goods. Unless you have no choice, obviously, but man, they’re not very good. Low value cards with only one good — just fills your boat up with trash. Always take green cards, unless you’re trying to fill up your ship on the last turn. It’s basically always a boon. Best case, it makes you competitive (or helps you win) in an area that you weren’t winning in, good-wise, already. Worst case, well, it doesn’t cost you anything to keep on your boat (other than the opportunity cost of potentially getting another card on that specific turn). Plus, you do still want to build up your Warehouse. Double-good cards aren’t always the best call. I usually take them if they’ll put me over the edge for that 10 florin bonus during the Warehouse Phase, but they may prevent you from being competitive for ship value bonuses at the end of the round. It’s a tough call. You might regret it if you end up taking more of that good later in the game and you could have gotten a 7-point card instead, but, I mean, that’s press-your-luck. Wonderful art. Vincent Dutrait is very good, and it definitely shows here. Bright, vibrant colors, good contrast, some nice theme in the art itself; the whole presentation of the game is very colorful and fun to look at. It’s eye-catching on the table, too. Plays fast. 30 minutes, tops. You can easily play this twice during an hour lunch if other players hustle. Virtually no setup. Take out the cards. Shuffle the cards. Set out the money. You’re ready to start! That’s a wonderfully short setup and that’s like, a gold standard for card games. I wish every card game were that easy to get to the table and start playing. The press-your-luck with some backtracking is an interesting element. There’s a moving window of available cards, and since you must take the last card you reveal there’s also some tradeoffs, there. I think the whole thing is a really nice implementation and I think it leads to some cool decisions. Very polished gameplay, and I appreciate it. Easy to transport. It’s just a deck of cards. You could even forego the money and just hope you have enough coins in your other games to make it work, especially if you’ve gotten any extra coins from a Kickstarter or something. That’s a really nice feature. Requires a fair bit of space. Just takes up a bit of space on the table since you have the market area, your ship’s area, and each player’s Warehouse. Means it’s not always the best travel game, even if it is extremely easy to transport between locations. The money is kind of hard to photograph. It’s just reflective to the point of being almost aggressive. Like, it’s practically mirrored. Kind of abnormally sized box. I don’t have any other games in similar-sized boxes, so it makes it hard to find a place for it on my shelf. Not a huge problem; just a noted issue. Art’s doesn’t seem to be terribly ethnically diverse. Gender diversity’s good, ethnic diversity, not so much. It’s fairly disappointing, since I assume a busy marketplace of spices and dyes would have some sort of cultural exchange going on. I’d call it a missed opportunity. The player aids are pretty confusing for new players. I think the problem is that they include the counts of each type of card a bit too close to the scoring information for the Warehouse Phase, so players get a bit overwhelmed with somewhat extraneous information. I usually just tell the players how things are scored in their first game, and during their second game I give them the player aids so that they can track it on their own. Overall, Medici: The Card Game is a super little game! There’s not much setup, there’s not a ton of downtime, and it scales to a remarkably high number of players without requiring a party game / social deduction element. It’s a great game to kick off a game night with, Vincent Dutrait’s artwork is wonderful, as usual, and it plays very quickly. Sure, I’m pretty terrible at it, but eventually I’ll get better and I still have a great time playing it (since writing this, I’ve actually won a game or two! What a time to be alive.). My one wish is for the money to be a bit less shiny, but you can honestly just get around that by providing your own coins (metal coins are awesome, anyways), if you want. If you’re looking for a super (and low-effort) game that’s good at two and good at six, Medici: The Card Game is a really nice choice!